The street level car park is covered and has a capacity for 1,112 cars, of which 30 spaces are dedicated PRM spaces (for people of reduced mobility). Electric charging points are also available. There are 14 motorbike parking spaces. 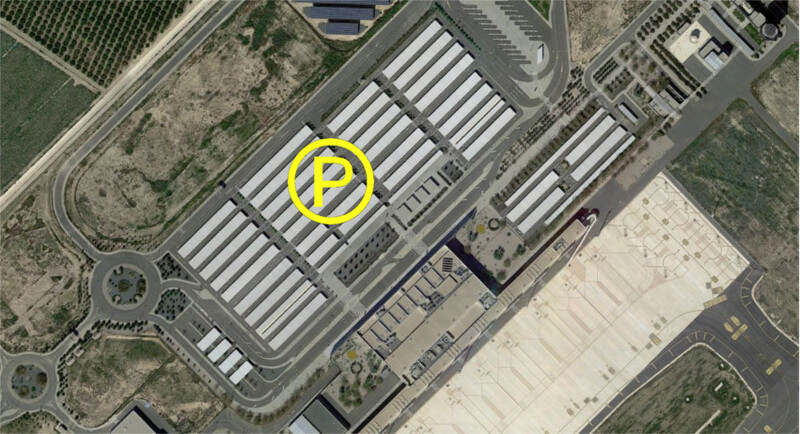 In addition to public parking there are also 528 spaces for car hire parking. The main car park is located immediately opposite the airport as you exit through the main doors.